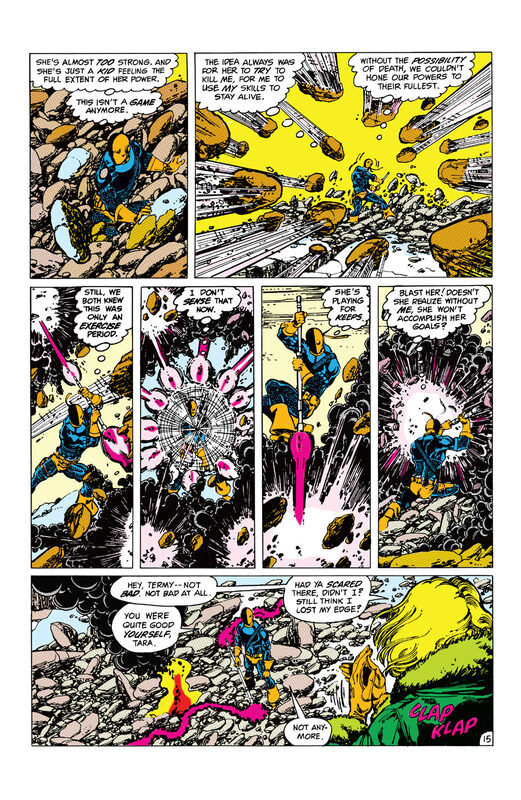 Actually Deathstroke beats Wolverine or Spider-Man on a 1v1. Nope. He gets ripped apart. WHAT THE HECK! I know you didn't just say "Deathstroke has a better healing factor than Wolverine"
He is Metahuman level but not able to beat Logan or Spider-Man. Has he ever shown resistance to being webbed up? Hey ho welcome to the outliers! No Spider-Man (as much as I hate him) is not human Slade is an enhanced human. He is not immortal, he has been killed before. Wintergreen even stated that a younger and less experienced Slade was "impossible to shoot"
When he said " it was impossible to shoot Deathstroket" he meant Slade was too skill ed and able to doge his bullets. You obviously have no knowledge of comic books if you think Slade is immortal. Are you one of those Splash guys that I keep hearing about? Spider-Man solocurbstomps by ultra-speedblitz! He even speedblitzed the Incredible HULK!!! He's not as fast as Quicksilver but he is as faster than a base human as Flash is from Wonder Woman! These six DC characters are easier than the Sinister Six. They may have skills but the Sinister Six have a bigger advantage in strength over the DC team than the DC team has in skill. When speedblitzed, skills mean NOTHING! Silver Surfer can speedblitz Thor and Hulk AT THE SAME TIME even if his fighting skills are AWFUL. but he is holding back in ALL occasions they've beaten him. But Flash can't speedblitz them because his strength is not comparable to Thor's or Hulk's, unlike Silver Surfer's. And Spider-Man is much stronger than Bane despite the latter's huge muscles. Don't let them mislead you. It's like wondering if Green Lantern is stronger than Gorilla Grodd. Lol, just check who moves on. Blade isn't going down to Green Arrow. Please tell me why you think Daredevil gets defeated by Green Arrow if he can dodge bullets? Was it even or no ? Yeah, it was even. Every battle was a good one.